JPEG XS is a new compression standard that was first announced in April 2018. JPEG XS is the first ISO standard (ISO/IEC 21112) codec for latency-critical applications offering lossless quality at low complexity. Co-developed by intoPIX’s RD&I team and based on their widely used TICO RDD35 codec, JPEG XS could be used across various industries such as industrial vision, broadcast, and professional AV. In fact, Japanese broadcaster is already using the technology for their 8K channel that was launched in December last year. Compression is used everywhere video needs to be managed, transmitted, or stored. 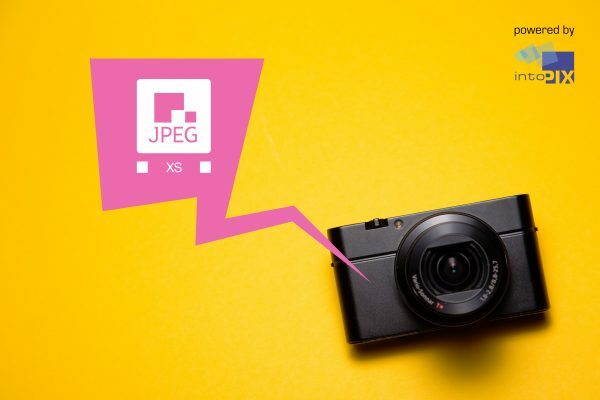 intoPIX, are hoping that JPEG XS will be taken up and used in video-capable devices, as it provides a good solution for a multitude of problems faced by consumer electronics manufacturers today. JPEG XS can handle increased resolution and frame rates while offering a visually lossless quality. Due to increasing resolutions, higher frame rates, and higher quality pixels (e.g. 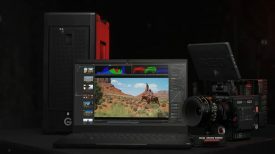 HDR), broadcast production workflows have to handle ever-increasing data volumes. 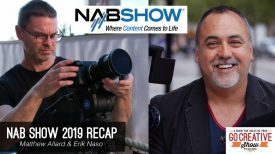 With the push towards 8K broadcasters have to look at cost-effective ways of managing and dealing with high-resolution file sizes. Japanese national TV broadcaster NHK has already successfully implemented TICO (JPEG XS) for 8K over 12G-SDI and 10GbE, and they will use it to help move material around during the Tokyo 2020 Olympics. JPEG XS supports resolutions up to 8K and frame rates from 24 to 120fps. The JPEG standard (ISO/IEC 10918) was created in 1992 and it is probably the most widely used form of compression. There are lots of versions of JPEG that are designed for various applications. 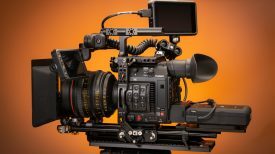 Existing standards such as JPEG, JPEG 2000 or HEVC do not meet the needs of the film and broadcast production networks, as they weren’t designed for ultra-low latency and achieving visually lossless compression. This is where JPEG XS comes in. New resolution formats like 4K and 8K are establishing themselves rapidly. With JPEG XS, high-resolution video can be carried over existing bandwidth, with lossless quality and imperceptible latency. It provides bandwidth efficiency for elementary flows for HD, 4K, and 8K. It offers microsecond latency and compression ratios suitable for any broadcast production workflow – including editing, ranging from 125Mbps to 400Mbps for HD and 500Mbps to 1.6Gps for 4K. Utilizing JPEG XS for in-device video transport reduces internal links and memory. Paired with its extremely low complexity and low memory use, implementors can significantly reduce power consumption of any electronic device. Being a line-based compression technology, JPEG XS induces only a few microseconds of latency – imperceptible to the human eye. After undergoing rigorous testing procedures by the ISO JPEG committee, the codec provides fully transparent quality at compression ratios from as low as 3bpp (8:1) for graphics, text, movie, gaming content and down to 1.5bpp ~ 16:1 typically for television and natural content. Processing video data streams with JPEG XS generates the crucial bandwidth savings needed to move more pixels over wired or wireless transmission (Wifi, WiGig, 5G), but also reduces the need for many internal links within a device. JPEG XS could very well become a compression standard we start seeing more of in the future. The typical compression ratios for JPEG XS are between 1:2 and 1:6 for both 4:4:4 and 4:2:2 images and image sequences with up to 16-bit component precision. Those properties allow JPEG XS to be applied in all applications that before operated with uncompressed image data. This includes among others professional video links (3G/6G/12G-SDI), IP transport (SMPTE 2022-5/6 & SMPTE 2110), real-time video storage, memory buffers, omni-directional video capture system, head-mounted displays for Virtual or Augmented Reality and sensor compression for the Automotive Industry.